^_^' hope someone like it. yay! darkness and silvery light really suit that wallpaper. TYKI !he's so cool . anyway what does prazoros mean ? Mean "pleasures" in Portuguese, Tyki has two "sides" to his life, he is a Portuguese vagabond and represents the "Pleasure" of Noah. Wow! That's really great! Thank you very much for sharing! 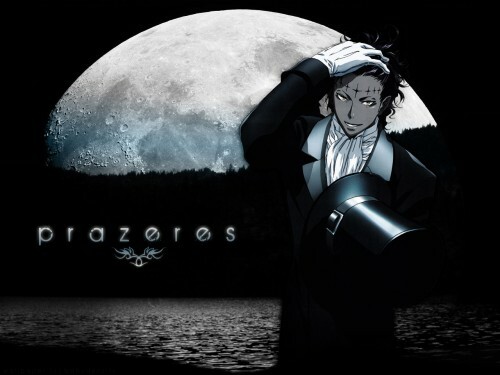 I know hes from D Gray Man, but which character is he? It'd be good if we understand what the word means... Nice background though. love it ^__^ looks absolutly amazing! I like Tykki Mikk, and like wallpapers with a dark background.